Stryker has announced the acquisition of Sage Products, a manufacturer of disposable hospital supplies designed to prevent the spread of hospital-associated infections (HAIs). 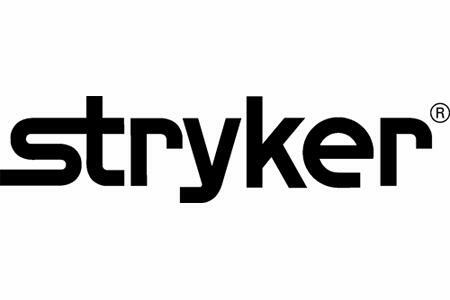 The deal, which is worth $2.78 billion, is expected to give Stryker a consistent revenue stream and a complementary portfolio of patient-care products. Stryker’s largest business is in surgical orthopedics, but more recently, the company has been building a portfolio of products focused on patient and caregiver safety, such as a system that keeps count of surgical sponges and specially designed ‘smart’ hospital beds. With the acquisition of Sage, Stryker gains a line of oral care products that fight hospital-associated pneumonia, specialty kits to prevent surgical site infections, and other patient hygiene solutions. Recent studies suggest that better enforcement of prevention practices can reduce HAIs by 70 percent, representing a cost-savings of between $25 billion and $31.5 billion, said the Office of Disease Prevention and Health Promotion (ODPHP). Starting in 2015, the Centers for Medicare and Medicaid Services (CMS) have reduced payments by one percent to hospitals in the lowest performing 25 percent in HAI reduction, as mandated by the Affordable Care Act to incentivize better HAI prevention compliance. Sage has been controlled by Madison Dearborn Partners, a private equity firm, since 2012, and once transferred to Stryker, the company will continue with its brand, leadership team, and location in Cary, Ill., said the Chicago Sun-Times. Last year, Stryker’s board of director’s authorized a $2 billion share repurchase program in addition to the $583 million of existing authorization to buy back some of Stryker’s common stock, though Lobo commented in a press release that the program would not supersede Stryker’s M&A ambitions. In an earnings call, Lobo indicated that the acquisition of Sage was the first of several potential deals to be completed in the near future, reported Reuters. “One of the reasons to postpone the share repurchase program was to make sure we still have capacity, so this will not be the last deal that we do,” said Lobo. Stryker recently announced plans to build 3-D printing manufacturing facility in 2016 and that the company would be pursuing innovative new technology only possible with 3-D printing. According to Lobo, Stryker is in the lead in both 3-D printing and robotics. Pending regulatory approval, the Sage deal is expected to close in the second quarter, and Stryker has added five cents per share to its adjusted earnings for 2016.